Last month, I purchased a replacement lamp assembly for a Runco VX-22D projector. The price was "competitive", and the delivery was fast. The assembly was exactly as described and fit perfectly. I recommend Pureland Supply to others and would certainly buy from this company again. Outstanding service from Pureland Supply. Placed my order at 3pm and replacement lamp was received and installed less than 24h later. COMPANY: American Vet Works Inc. They have WONDERFUL customer service and I will use this Company whenever I can. It was a pleasure dealing with them.I purchased projector lamps. I purchased a replacement lamp for my epson 5030 projector. On the plus side, they shipped it out very fast! I'm giving the low rating because the lamp emitted a very foul odor after running it for a couple of hours. I'm going to order a genuine lamp from another retailer. I wanted to say thanks for your help and fast friendly service to get our projector bulb to us. We were able to use it in our services @ Christian Life Fellowship on Sunday. The quality of the bulb made the overhead slides and videos much crisper and clearer. Blessings to you all at Pureland! I was looking at purchasing a new bulb for a projector that had quit working after I accidentally knocked it off a table, but wanted to be sure that was the problem before I ordered one. My questions were answered quickly (within an hour) and thoroughly. Frank was more than helpful and took the time to troubleshoot the problem with me. Turns out, I didn't end up needing that new bulb after all! I'll definitely be back in the future if I ever have problems with my projector again, or when we find ourselves in need of a new one. Thanks! Worked with Frank on a high end JVC projector that was really causing us a lot of grief. Frank pinpointed the problem immediately and was happy to help. Can't wait to buy some lamps from Frank in the near future. Great company to do business with. Bought a Runco lamp for VX22i. Last lamp I bought elsewhere did not save my lamp time. This one works like the OEM but it was a lot cheaper. Will buy again. Bought a replacement bulb for my Benq 1070 and it arrived the next day! Brightness is great, just like the original bulb if not better and bulb is Original Osram as described on their website. Will definitely buy from them again. I purchased a bulb from Pureland Supply for our Sharp projector. When I called and got immediate answers to my questions. They shipped the bulb the day I ordered it and we had it 2 days later. Easy installation and it works perfectly, like getting a new projector! So far I am very impressed with the performance of the ET-LAE1000 lamp. The lamp seems to perform to the specifications of the original Panasonic lamp for my PT-AE2000u. Good brightness and great color. I saved $150! Would purchase again from this seller. In July 2016, I purchased a LMP-H200 lamp from Pureland for my 8 year old VPL-VW60 Sony projector. Pureland's LMP-H200 lamp now has 1000 hours and it is as bright as the first day. I feel the Pureland's lamp has whiter light than the original Sony lamp. In addition their phone customer service is outstanding when they advised me to install their lamp now and take advantage of their 6 month warranty. I will purchase all my projector lamps from Pureland. Great customer service. I placed online order for a projector bulb. I had a reply back within 10 minutes saying it had shipped with tracking. I purchased a lamp from Prueland Supply and installed at the end of June. I just wanted to let those that may be skeptical about a non-OEM bulb know my experience so far. 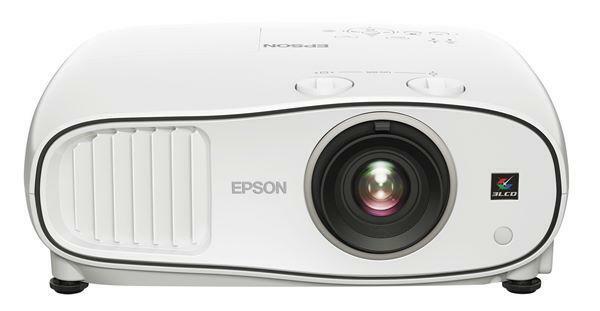 I have had the very expensive factor bulbs for my Epson 8350 projector and I feel this is close to, if not exact quality and brightness for over $100.00 dollars less. I purchased a TV projector lamp. Pureland Supply immediately responded to my net order. Confirmed the order, indicating when it was expected to arrive. Then, provided a tracking number. It arrived 2 days earlier than they had planned. You folks enabled me to feel "safe" with my purchase. Your prices were also below market. I have purchased at least 2 lamps for my Mitsubishi HD1000U from Pureland Supply. Buying non-factory bulbs always feels like a spin of the roulette wheel. 2 lamps hardly represents a significant sample size, but both lamps performed admirably getting well over 5,000 usable hours out of both (rated at 3,000). I will continue to use Pureland Supply. Their customer service is very responsive and they are quick shippers, too! The level of customer service and care about my situation was fantastic. Totally unexpected! I was so impressed with the way they took care of a problem. I had a problem with a lamp bulb, and they took care of it immediately. Pureland Supply did exactly what I asked them to do. The lamp for my 8 year old, rear projection TV arrived just before Thanksgiving Day, was easy to replace and the TV looks just like it did the day I bought it. Like watching all the football on a brand new TV! Thanks Pureland!! Outstanding customer service. I purchased a replacement bulb for my Epson Power Lite Home Cinema 8350. To my pleasant surprise, Pureland Supply's free shipping was Fedex 2 day delivery. I received the lamp on Saturday. The lamp is first class quality in every way as it is manufactured by the same company who makes the Epson OEM bulbs. Pulse I realized substantial savings over some online retailers. Excellent company.